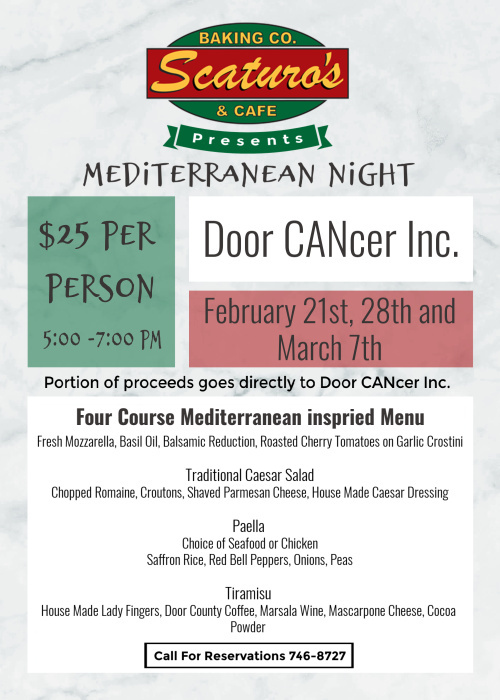 Scaturo’s Baking Co. & Cafe presents Mediterranean Night on Thursdays, February 21st & 28th, and March 7th, 2019. Tickets are $25 per person and a portion of the proceeds goes directly to Door CANcer Inc. – supporting the needs of cancer patients and their families right here in Door County, Wisconsin. The Four Course Mediterranean-inspired menu will feature Fresh Mozzarella with Basil Oil, Balsamic Reduction, and Roasted Cherry Tomatoes on Garlic Crostini to start, followed by a Traditional Caesar Salad. The main course is a savory Paella with your choice of Seafood or Chicken, and dessert is a decadent house-made Tiramisu made with Door County Coffee! 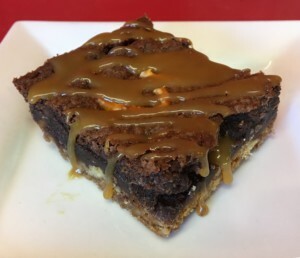 You can also help out all month long by enjoying Scaturo’s “Dessert of the Month” – a portion of the proceeds of which will also go to Door CANcer Inc. This month’s dessert is called the “DoorCAN Triple Comfort Brownie” – a Pretzel-crusted, chocolate chip, fudge brownie, with salted caramel drizzle… order it in house and it is served with Ice Cream or take a few home for a sweet treat later! 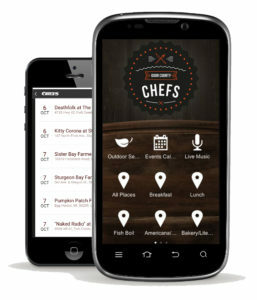 Find Scaturo’s and more Door County restaurants with our Door County Chefs Mobile Dining App – FREE for iPhone and Android with click-to-call phone numbers and GPS directions, plus DC Chefs Member menus! Find festivals, live music, theatre and more on the Peninsula with the Door County Events Calendar, accessible from the DC Chefs App!